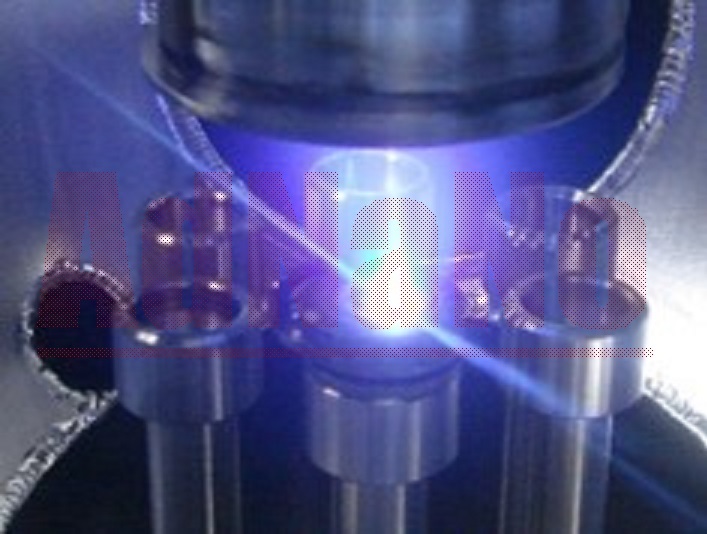 In Pulsed-Laser Deposition (PLD) or Laser MBE, high power pulsed laser beam is focused on the surface of the target. When the laser pulse is absorbed by the target, energy is converted to electronic excitation and then into thermal, chemical and mechanical energy. This results in rapid evaporation or ablation of the target which produces a luminous plasma plume. The plume contains many energetic species including atoms, molecules, electrons, ions, particulates and molten globules. The plume which contains the ablated target material will rapidly expand into the surrounding vacuum and then condenses into a thin-layer film on the substrate. 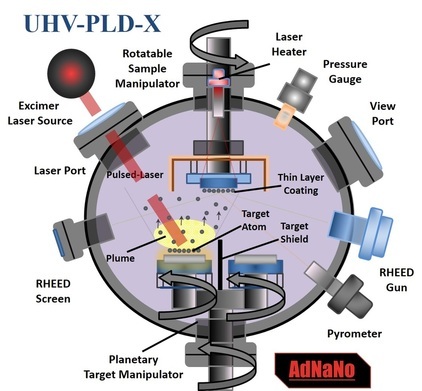 In order to achieve a single atomic layer coating in PLD, UHV condition should be maintained; and precise control of thin-layer deposition parameters (i.e. 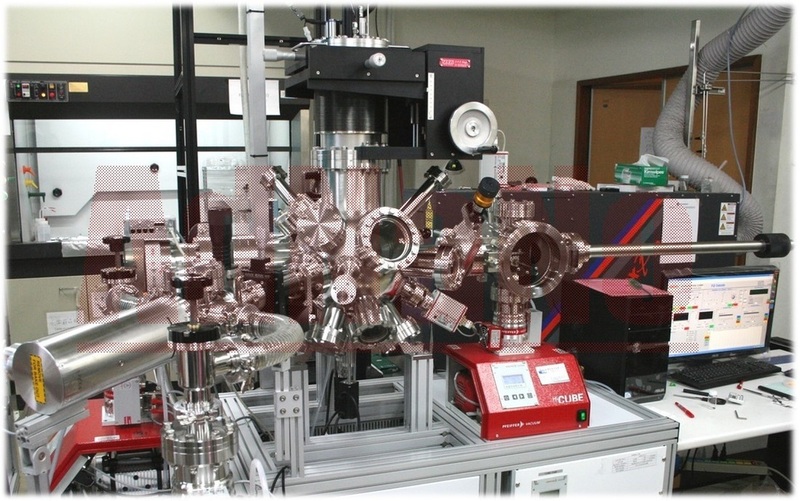 sample temperature, chamber pressure, laser power, taget-to-substrate distance, etc.) is required. AdNANoTek's PLD (or Laser MBE) System with its built-in system control software is developed to achieve the above mentioned criteria. AdNaNoTek's PLD (or Laser MBE) System is also equipped with Reflective High Energy Electron Diffraction (RHEED) and RHEED monitoring software. 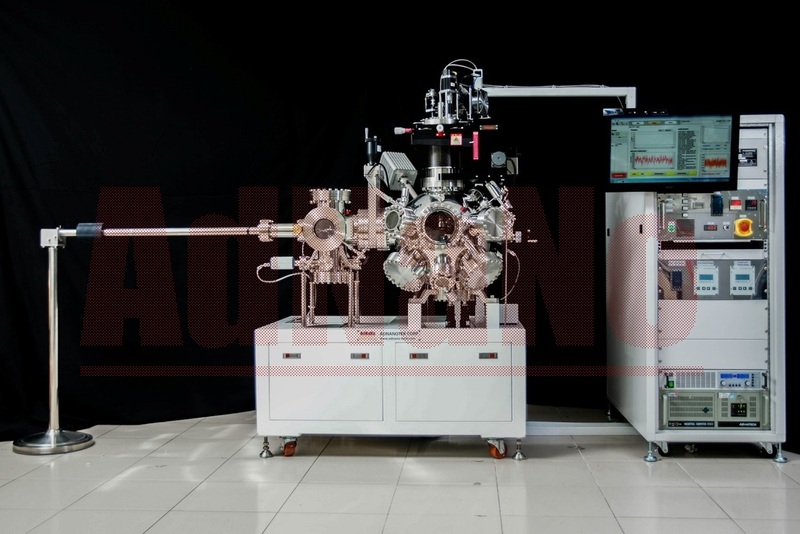 The RHEED system provides real-time monitoring and analysis of the epitaxial growth process like a) counting of the growth of individual atomic layers, and b) determination of the growth mechanism (i.e. epitaxial growth, step flow growth, or three dimensional island growth). This technique permits the growth of high quality thin films and superlattices of perovskite structured materials with atomic layer precision. © Copyright 2014 AdNaNoTek Corporation. All rights reserved.